Instead…I felt jealous. My immediate, gut reaction was jealousy. What is wrong with me?! I was honestly surprised by my reaction and promptly rebuked myself. As I thought about it, I realized their dream isn’t my dream. It’s not like we were in a competition for one dream and they got to it first. There’s plenty of dreams to go around. The good things happening to them are not things that I even want to happen to me. I’m free to be happy for them without feeling like I’m missing out. I just needed to remember my dream. I’m one of the lucky few who gets to live out my dream every day – or most of my dream anyway. I get to be home with my child rather than working 8 hours a day (thanks to my hard-working husband!). I get to write and read and organize stuff. Dream. Come. True. I don’t have a full-time chef…yet. Some dreams are still just dreams. I am so thankful for the day to day. I don’t want to take it for granted. I don’t want to forget my dream and feel jealous of someone else’s. I want to know my dream and be thankful for the privilege of actually living it out. How do you live your dream? What’s something you get to do every day that’s part of your dream? There, I said it. Love is not too strong a word when you consider your delicious milk chocolate shell and your gooey, delicious, gooeyness inside. I have no idea what the inside is made of, but it doesn’t matter. It looks like an egg yolk and some people find that disgusting, but not me. I find it…delicious. Did I mention you are delicious? Because you are. Sometimes in November I regret that I didn’t stash a whole case of your colorful foil wrapped eggs. Because I miss you so much. Because you’re delicious. With Easter just a few days away, I know that you’ll be leaving soon. Gone for another year. The Seasonal isle at Target will be dark and dreary without you. I will think of you often. And next February, as soon as Valentine’s is over, I will begin my search for you once again. Until then, know that my love for you will not weaken or lessen but only grow stronger with the memory of your…deliciousness. Today is Mikayla’s birthday. 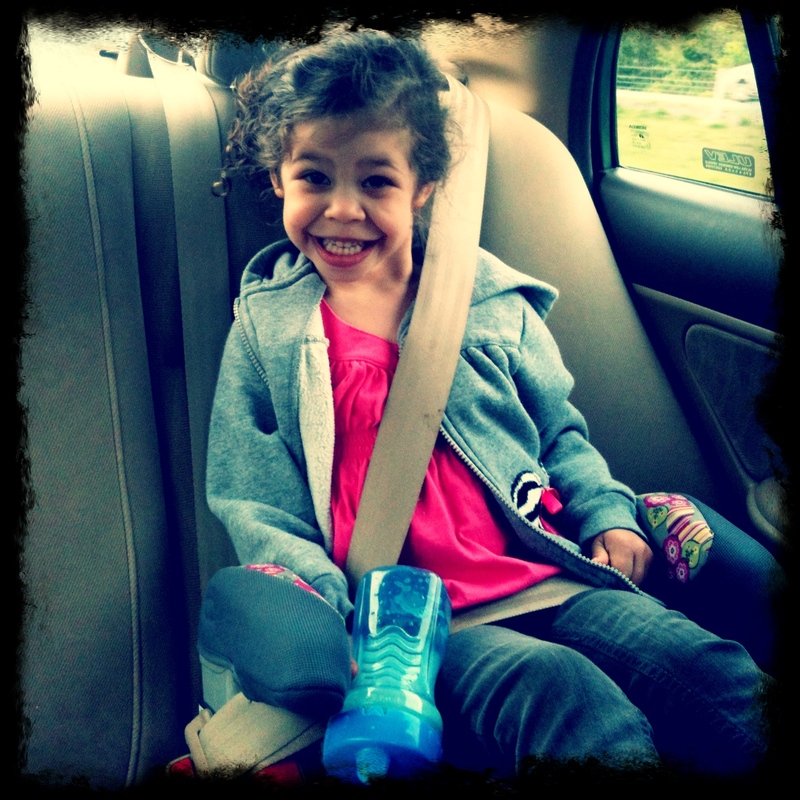 It’s crazy that four years have gone by since we welcomed our 6 lb., curly-haired baby girl into our arms. Several of her classmates at daycare have had birthdays in the past couple months so she has frequently asked for a birthday “porty” – with cupcakes. (Between you and me, I think she just wanted the cupcakes.) Last week when we started talking about HER birthday, she could barely contain her excitement. She would giggle and squeal and jump up and down…and promptly verify that cupcakes would in fact be present at said party. It’s amazing how much she’s grown from year to year. And, after all that begging for cupcakes she wouldn’t eat them. Didn’t even lick the icing. She just wanted to light the candles and sing Happy Birthday over and over and over and over…like 12 times. I think I accomplished a lot this month, just not the Finish Year goals I had set for myself. 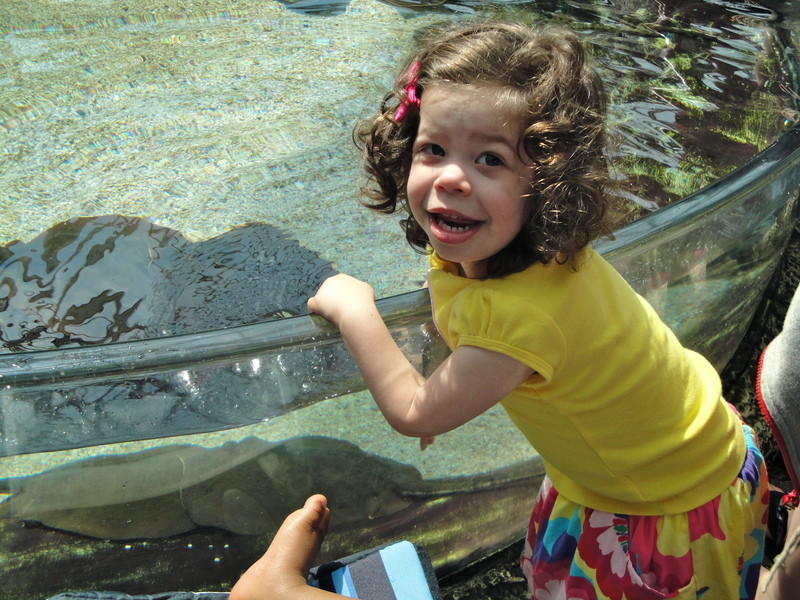 Between ear infections and researching pre-school and school options for Mikayla and planning her birthday activities and who knows what else, March was busy. And the things I did were important and necessary. Unfortunately, they were also a distraction. I’m trying not to be discouraged. I think I ended the month on a positive note with this last week being focused and consistent. And, I think I have a better plan going forward to accomplish my goals intentionally rather than half-heartedly. So…today I’m thankful for new beginnings and I’m entering April with a renewed commitment to my Finish Year goals. I’ve only seen the show once, and then not the entire show. Mike turned it on just flipping through the channels. At first, I laughed. I thought these people were crazy. There were people who wanted a shelter that would withstand attacks from zombies. (No, seriously.) There were people who wanted a shelter for storms and tornadoes. There was even one guy who wanted an entire underground house for his family of four that would hold food and supplies for up to two years – complete with electricity, fresh air and plumbing. After about 15 minutes…I wasn’t laughing. I no longer thought the people were crazy…I thought they were brilliant. Preparing for a zombie attack? Genius! Why don’t we have a bunker? We should definitely get a bunker. And store some water. And some guns. In fact, not only was I convinced we needed a bunker, I was pretty sure zombies were about to knock on the door and nuclear weapons were going to descend on us at any moment. And, if the zombies and bombs didn’t get us the looters and pillagers would. So what was it that made me suddenly believe in the zombie apocalypse? Well, I have a theory…motherhood. You heard me. Motherhood made me crazy. Motherhood made me fear plagues, home invaders, freak accidents and zombies. Was it the extreme hormonal imbalance that occurs during pregnancy? 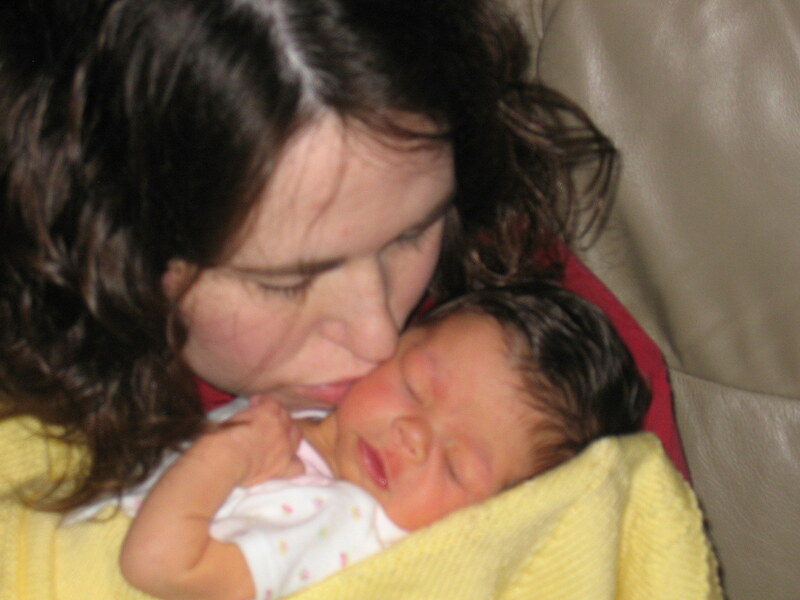 Was it the sleep deprivation that occurred during the first (many) months after my precious baby’s birth? Was it simply the weight of responsibility that parents carry? What made me just as crazy as the people featured on Doomsday Preppers? I don’t really know the exact cause. But perhaps a more important question is – am I the only who feels this way? I’m pretty sure I’m not alone. Based on conversations with friends, I’m not the only one with ridiculous, irrational, illogical fears. I think laughter helps. Admitting your craziness and learning of others’ craziness at least lets you know you’re not alone – and if you can laugh at yourself and at your friends, all the better. So, my question for you – is there something you fear or something you worry about that only started after you had children? What do you think is the cause of this mommy-craziness? One of Mikayla’s favorite characters is Elmo. 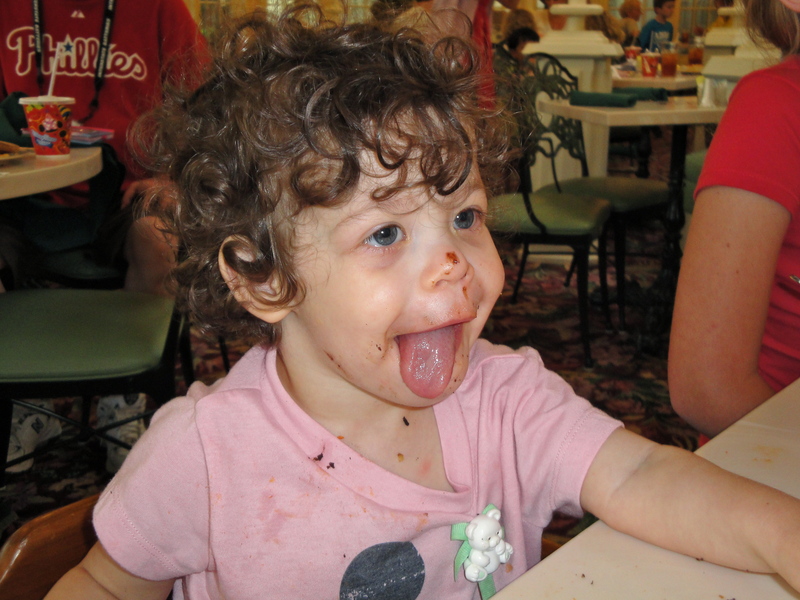 She loves all things Disney, of course, but Elmo is right up there with Mickey on her list of best things ever. Grapes, chocolate, macaroni and flashlights are also on that list, in case you were wondering. A few days ago I peaked in on her and she had her microphone too. 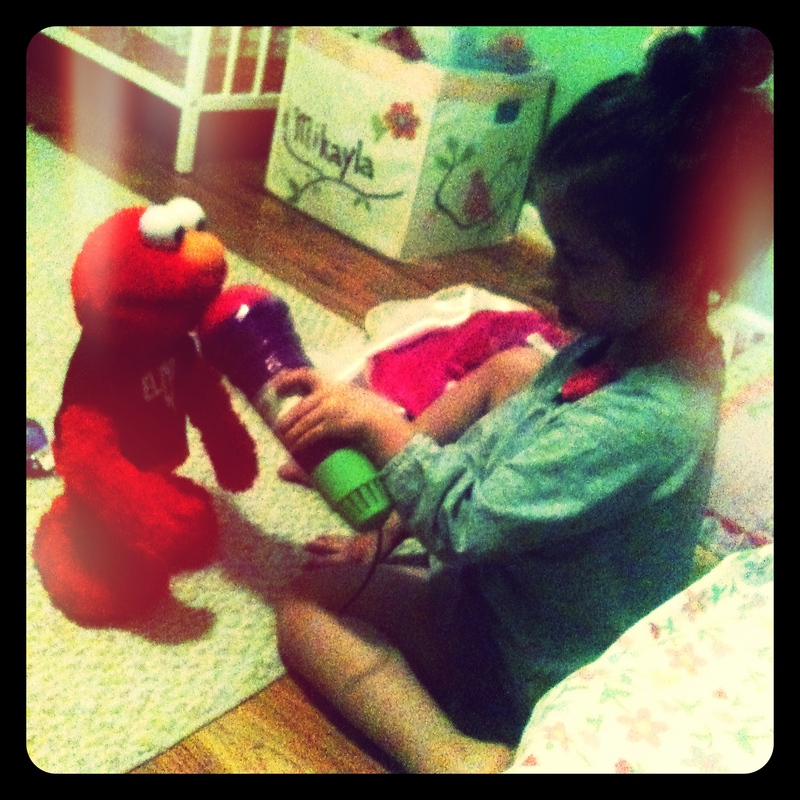 She would sing into it and then hold it for Elmo to sing. It was absolutely adorable. So, I thought I’d share a picture. Hey, I’m a mom. It’s what I do. On a related note, after church this past Sunday morning. Mikayla reached up on stage and grabbed a mic someone had laid on the floor. Before I could grab it she put it to her mouth and screamed, “Rock and roll, baby!” I was soooo thankful it had already been turned off. What’s a character your kids like that you find annoying? Do you limit their exposure to preserve your sanity, or just go with it? I’ve had a couple friends recently put together a rice box to keep their toddlers entertained. And, by “rice box”, I mean they got some rice and dumped it into a box. Super complicated…I know. But the crazy thing is that their kids love it! So, I thought I’d get a box and some rice for Mikayla. She loves it too! My plan is to make this an outdoor activity. Partly because being outside makes for easy clean up. But mostly because we need some outside time. Mikayla loves being outside. I’d just rather she play with fake bugs than real ones while she’s out there. I got a 28 quart plastic tub – the “under the bed” kind so it’s shallow – and a 10 lb. bag of rice. 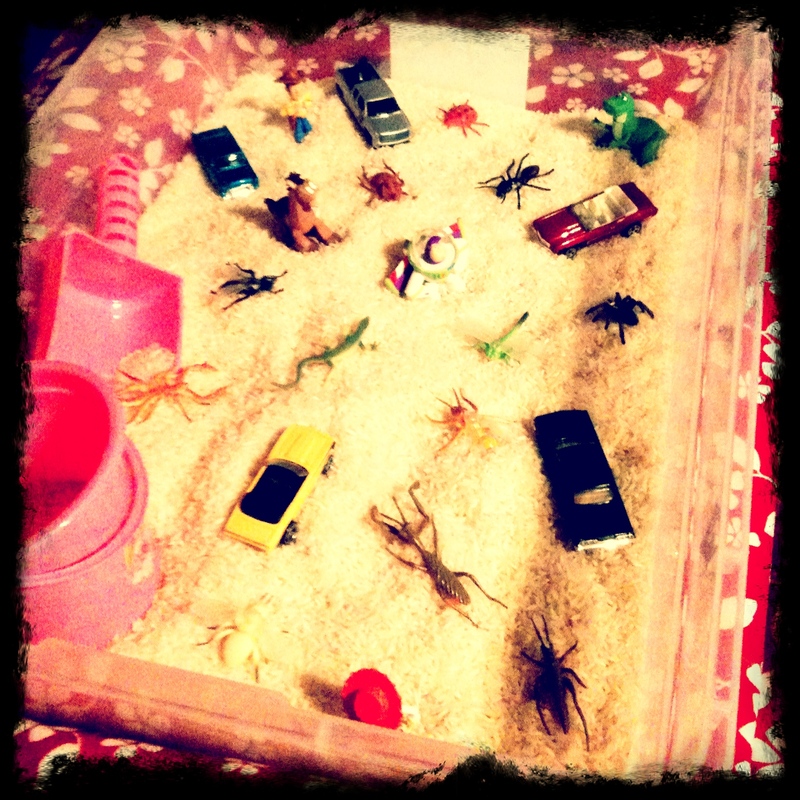 Added some fake bugs, a bucket and a scoop – all from the $1 isle. A few hot wheels and mini Toy Story characters (or anything from your child’s toy stash) give her something besides bugs to play with. And, viola … a rice box. A plastic tablecloth (or sheet or blanket or towel) underneath makes it easy to dump spilled rice back into the box – or shake it out into the yard. And our dog Emma thinks its great fun to eat the kernels of rice that spill out of the box. Who knew one simple box could provide so much fun for everyone! What are some other simple activities that kids love? I’d love some ideas for this summer. 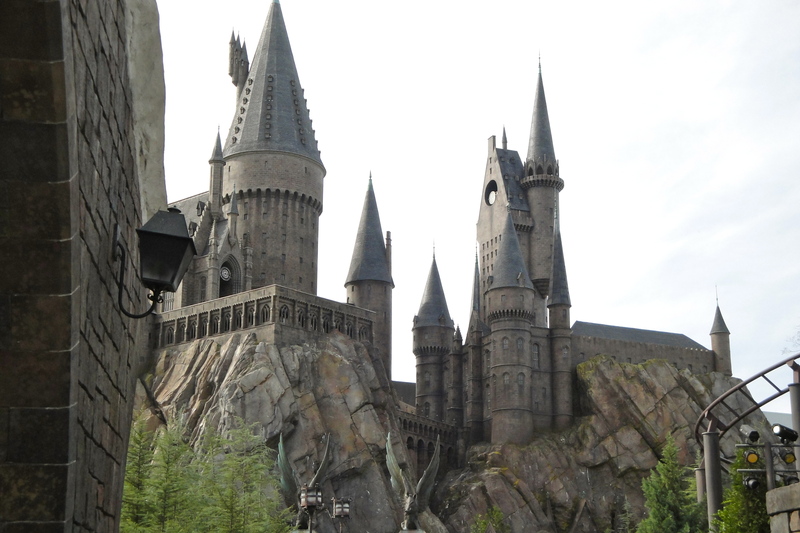 A couple weeks ago Mike and I took a quick trip to Orlando to visit the Wizarding World of Harry Potter. Yes, it was as AMAZING as it sounds. Yes, we are grown ups who LOVE Harry Potter. No, we don’t care if you think we’re nerds. We flew down on a Friday evening and went straight to our favorite Disney restaurant for dinner – ‘Ohana. We’ve been to Disney twice and each time my absolute favorite thing was the food. Everything at Disney is designed to be an experience and the dining is no exception. The food is just glorious! I think my dream vacation would be to go to Disney and just eat the whole time. Anyway… ‘Ohana is the restaurant at Disney’s Polynesian Resort and it is probably my favorite restaurant anywhere. The bread…and dumplings…and noodles…and the sauce…oh my word, the sauce…I can’t even tell you how wonderful it is, just know that it is wonderful. On Saturday, we spent the day at Universal’s Islands of Adventure. As Disney fans, we felt a bit like we were cheating by going to Universal. And, it was hard not to compare the two. 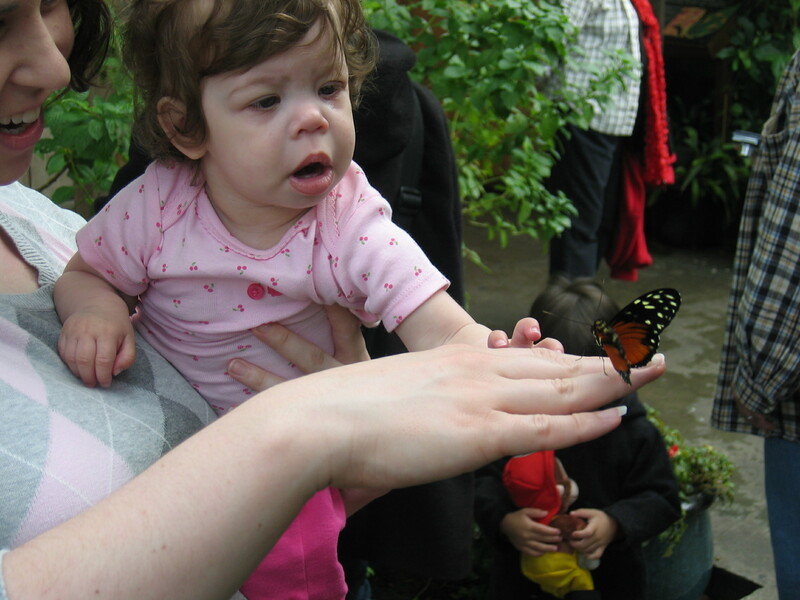 The cost of admission is about the same…but what you get for that cost is drastically different. Disney is so clean and kid friendly and seems to run like a well-oiled machine. Universal is…not so much. We felt Universal was more like a Six Flags – you get rides but it’s just not magical. The Wizarding World of Harry Potter was an exception to this. As Potter fans, we loved the experience of walking through Hogsmeade and drinking Butterbeer at Hogs Head and touring Hogwarts, Zonkos and Honeydukes. We ate lunch at the Three Broomsticks and explored wands at Ollivanders. Even got spooked by Moaning Myrtle in the ladies room. There are three Harry Potter themed rides. The Dragon Challenge is a great roller coaster. Not for the faint of heart or queasy riders. Lots of twists and loops and I felt a bit dizzy for a while after riding. The Flight of the Hippogriff was the one disappointment of the Wizarding World. We waited in line for probably 50 minutes and the ride lasted about 7 seconds. Ok, ok, I’m exaggerating…it was 9 seconds. It’s a “kiddie” coaster and we knew that going in but thought it would at least be worth the wait. The unfortunate thing is that the only way to see Hagrid’s house is to walk through that line…just wish the ride itself was a bit longer. The main ride is Harry Potter and the Forbidden Journey. 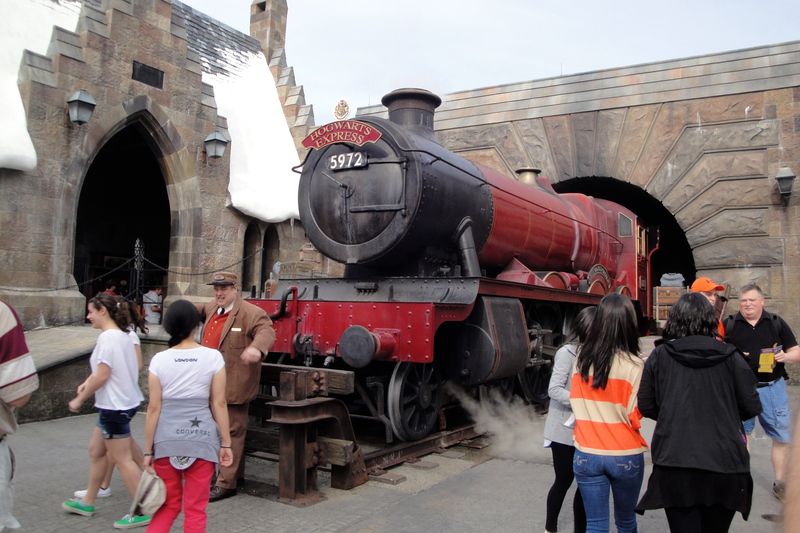 The line for this ride is a walk through Hogwarts castle – and it was impressive. You walk through Dumbledore’s office and through the great hall and you get to see several Hogwarts “artifacts” like the sorting hat. The portraits talk to you as you walk along…it’s all very realistic and very well done. The ride is part simulation and part things-jumping-out-to-scare-you. It too is very well done and you get to “see” a lot of the castle and school grounds during your “flight”. Although I didn’t fall in love with Universal as a whole, I would still highly recommend a visit to the Wizarding World of Harry Potter to anyone who is a Potter fan – especially if you’ve read the books. We plan to go back someday. When Mikayla is old enough to appreciate the movies and books we’d love to take her for a visit to Hogwarts. Question: Are you a Potter fan? What do you think about the “real-life” magical world at Universal?